European Auto Source unveils their latest project, an Alpine White BMW F10 M5 with a new suspension system and wheels. 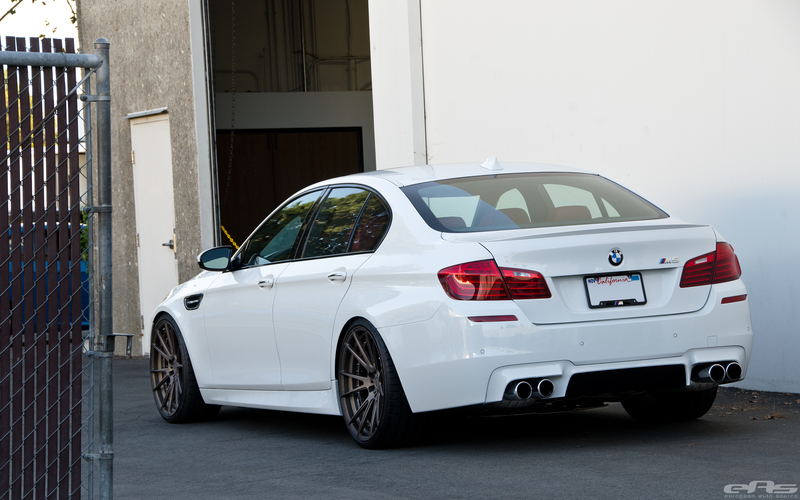 Some readers will definitely appreciate the subtle changes to this M5 which comes only with the necessary aero parts installed. 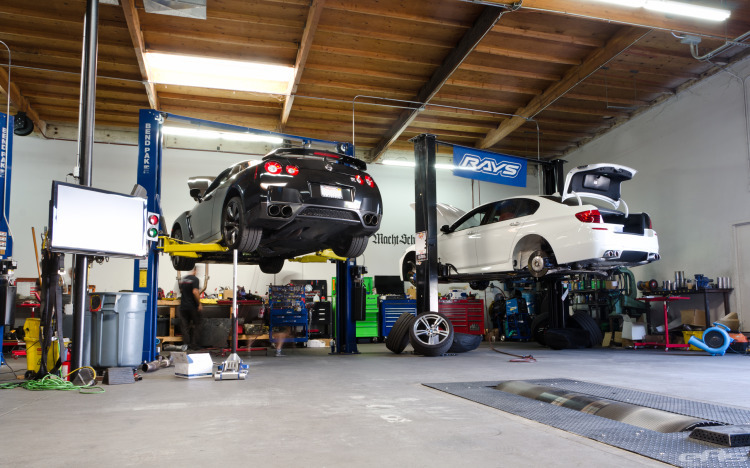 Quality parts like the KW Suspension and ADV.1 Wheels mean a high quality build, together with an already installed Meistershaft exhaust system. Owner of this car opted for a set of ADV.1 wheels for his ride. 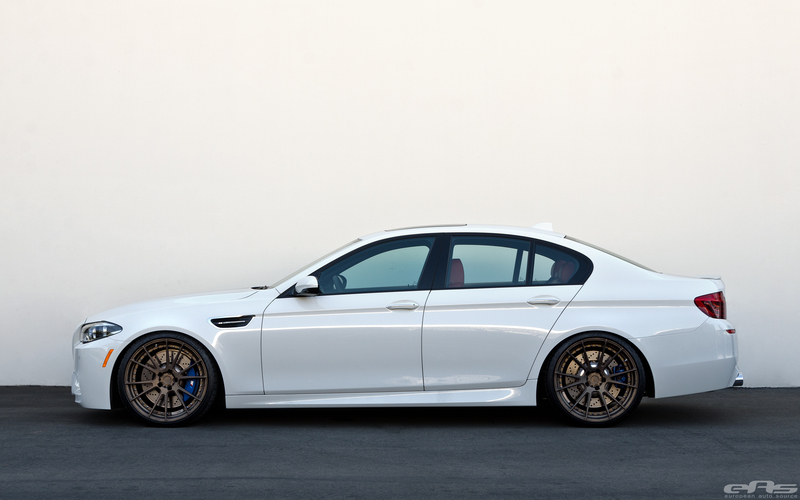 These are their ADV6.2 custom forged wheels, sized 21 inches all around. As these are finished in a Matte Bronze finish which complements the Alpine White exterior really well, the setup works perfectly. These feature a two-piece design, allowing for a signifying monoblock look. They also have showing hardware, ensuring the added additional details that complete the wheel’s design nicely. 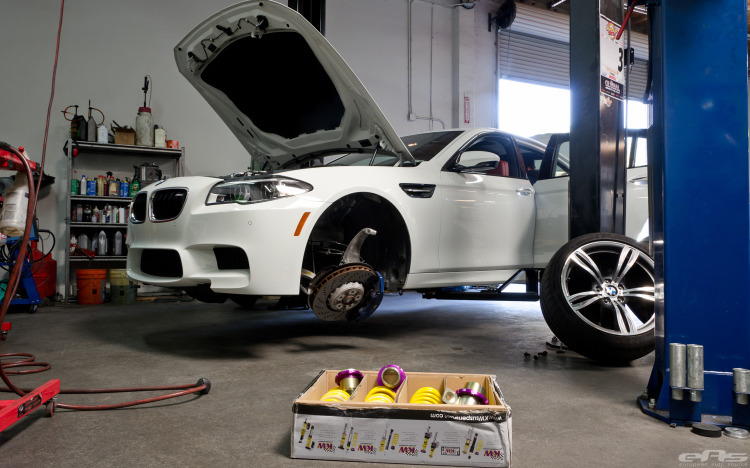 To properly lower this M5, a set of KW HAS Height Adjustable Lowering Spring Sleeve-Over Kit suspension was used. This allows perfect lowering of the vehicle while working together with EDC without any issues whatsoever. 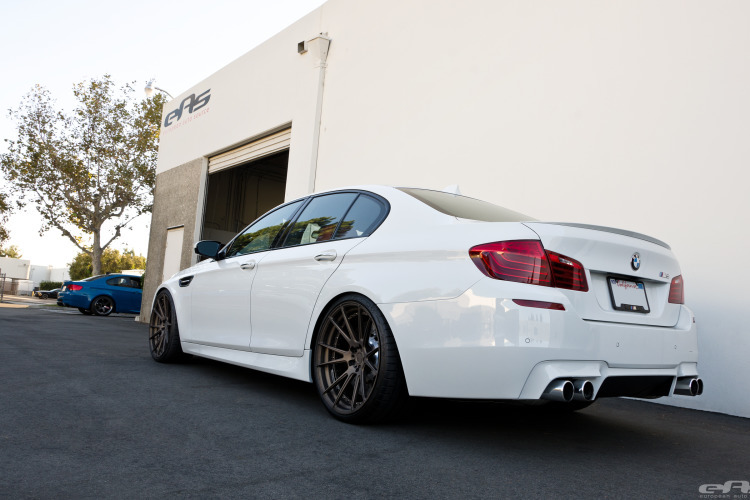 It also makes this BMW F10 M5 sit nicely, providing an excellent stance and overall enhancing the look of the vehicle. 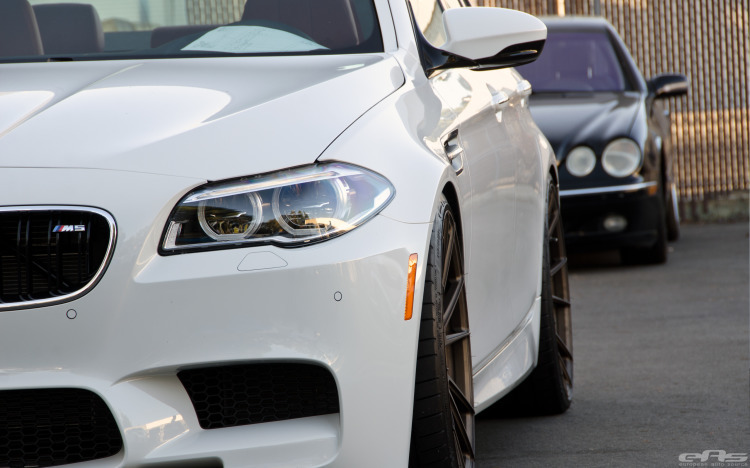 Finally, a complete Meistershaft exhaust system was installed previously, allowing the 4.4-liter BMW M TwinPower Turbo V8 engine, that develops a monstrous 560 horsepower, a chance to unfold its growl deeper and louder as well. Go check out the full build details in our gallery to get familiar with the installation process.